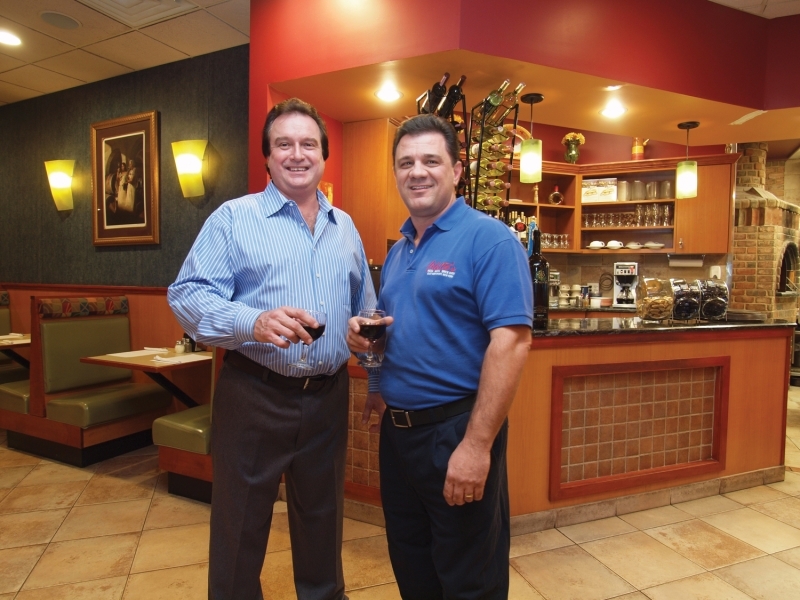 Owners Vincenzo LoManto and Rich Braue are a great hands on team, who work together efficiently and with creativity. Both men are very funny and have a passion for their business. Rich, a culinary trained chef, who is known for his creativity, has more than 20 years experience. They collaborate to create superior Italian fare using the freshest and finest ingredients. Homemade pasta, whole wheat and gluten free are among the more than 40 pastas dishes on their huge menu. They probably offer more than any restaurant in NYS. There’s a great variety of pizza including specialty pies, gluten free, and 12 inch thin crust personal pizzas baked in their authentic wood fired brick oven. 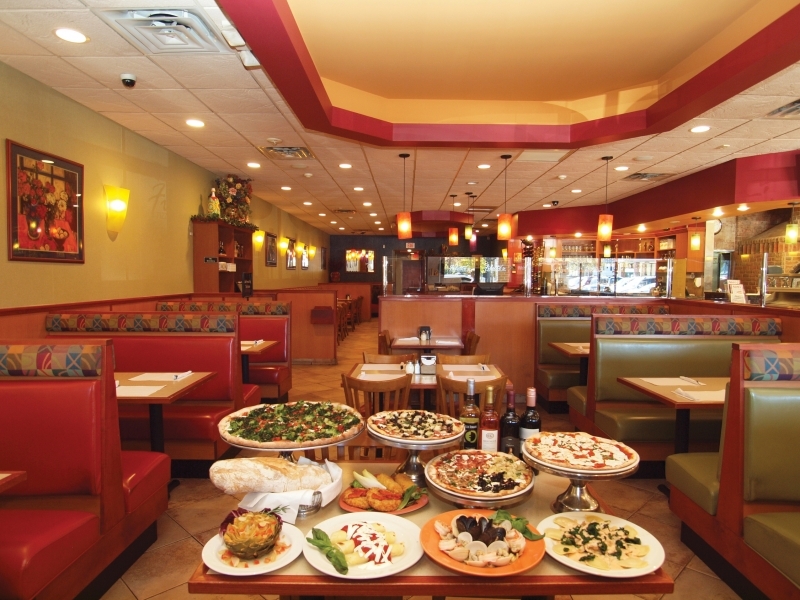 Some unique creations to Filetto’s are chicken cordon bleu pizza, loaded with flavor; and their famous capellini cakes with freshmozzarella, romano and parmigiana cheeses with a side of pomodoro sauce for dipping. There are homemade soups, salads, heroes and paninis, and all entrees are served with a side of pasta, julienne vegetables, potatoes or salad. Their loyal clientele rave about their weekend specials. Micro brews and hand crafted beers on tap that change with the seasons are available as well as wines from Italy, California and France.